While FastComet hosting is extensively used by users from all over the world, iPage has been increasingly getting popular over the years too. By now, a lot of users are actually trying to figure out the actual differences between these two Web Hosting companies. It certainly is not a simple task. 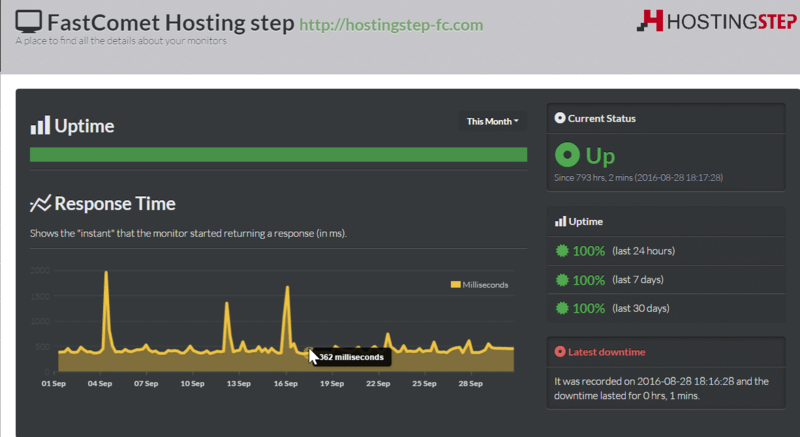 What it takes is hours of testing and monitoring the various aspects of the two hosting companies. It may also need you to spend some money on advanced testing tools and, of course, on the hosting accounts to host your demo sites. However, the good news is that you do not have to do all these since I have already done the testing; doing what was most needful to give you a completely clear picture. iPage started in the year 1998 and has come a long way. Although there is no denying the fact that it has its users from all parts of the world, it actually had gradual growth over the years. It took time for iPage to gain popularity among the users. One of the reasons behind it is certainly the fact that web hosting was still not extensively used back then. As far as FastComet is concerned, it started way later in 2010 and by then, the Web Hosting industry had already begun to grow with a large number of users. Hence, it had the advantage of starting late. On top of that, FastComet’s brilliant service helped it to emerge at a rapid pace and become one of the most promising web hosting companies today. No matter how brilliant the words of promises seem to be on the home page of every hosting company, you better not believe it and instead, try and see if it is really true. Only then, you can actually take a decision. Speed and uptime are two of the most important aspects of web hosting and this is the reason that you need to check them really well. I actually had a demo site hosted with both the hosting companies and observed the speed and uptime carefully over many hours. While my FastComet site showed up loading time of 286ms and uptime of 99.97%, my iPage demo site had a loading time of 820ms and an uptime of 99.98%. Hence, FastComet has a leading edge over iPage when it comes to speed and uptime. FastComet offers support via phone, email, and tickets. FastComet definitely has the best support in the web hosting industry these days. The support is both fast and accurate. It takes merely a few seconds to get connected to a FastComet support agent over the live chat and tickets are answered in 15 to 20 minutes. As far as the iPage Support is concerned, it comprises support via phone, email, and tickets. Although the iPage live chat executives have excellent product knowledge and are pretty helpful too, the waiting time can be up to 20 to 30 minutes. Hence, FastComet is a clear winner when it comes to Support. With FastComet, you can choose among 8 data center locations including Chicago, Dallas, and Newark in the USA, Frankfurt, London, and Amsterdam in the Europe and Singapore and Tokyo in Asia. However, iPage has its only data center in Burlington, Massachusetts, USA. iPage hosting certainly is the cheapest yet good hosting option available in the market. Although the renewals can be pretty high and may get up to $9.99/mo, the promotional pricing is a lot better and cheaper than that of the other hosting companies. Besides, having the cheapest promotional pricing, it also offers the same pricing for 12 to 36 months. The question of higher renewals only arises after the promotional pricing period expires. The FastComet pricing, on the other hand, is pretty simple and transparent. It may not offer you plans for as low as iPage offers but it gives you the same buy price and renewal price. This means if you buy a plan for $2.95, it will continue to be the same even when it is time to renew. This has largely helped this amazing hosting company win the confidence of users from all across the world over the years. Although both iPage and FastComet are pretty dependable as hosting providers, FastComet has a leading edge in some aspects. With FastComet, you actually get more options to choose just as in the case of data center locations. Also, you can rest assured of having comparatively more resources with FastComet Hosting. Most importantly, FastComet has better pricing with the same renewals. However, iPage can be a good option for those with a tight budget. If you are one of those with a tight budget, what you can do is use iPage hosting for 36 months and transfer your website to a much reliable hosting platform like the FastComet prior to its renewal.